The UCF Golden Knights lost a thrilling and heart breaking game against Zion Williamson and The Duke Blue Devils 77-67. It was one of of (if not) the most thrilling game thus far in the NCAA tournament. As UCF and Tacko Fall almost defeated the number one overall sead in the tournament. After narrowly losing however; we turn our attention to the scene in the Golden Knights locker room which was heart breaking. 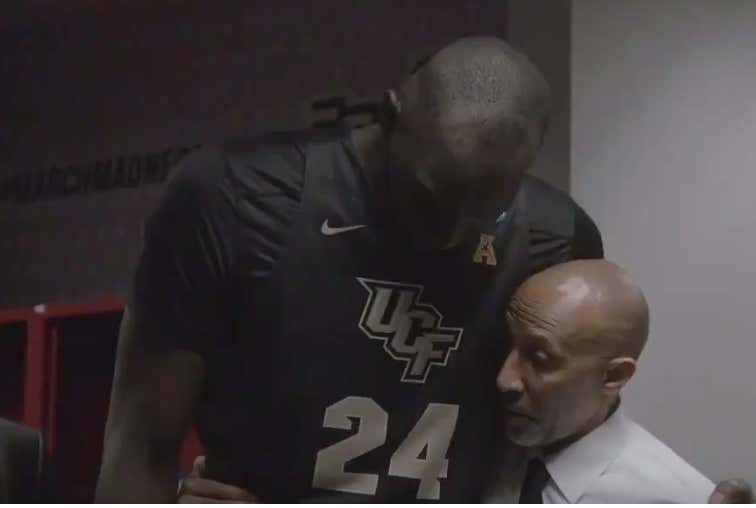 Yikes it was so hard to actually comprehend what Johnny Dawkins was saying over all the crying in the UCF locker room. It’s apparent that this time is a tightly knit group that just lost one of the most agonizing games in recent NCAA tournament history. This however is what makes college sports so great. The companionship between the team and the amount of emotion that the team showed during and after the game is great. This is one of the reasons I love the NCAA tournament so much.